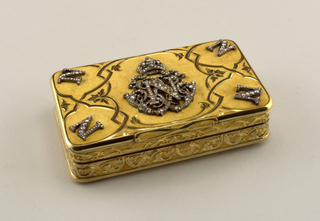 This object is currently on display in room 107 as part of Tablescapes: Designs for Dining. There are 4 other images of this object. See our image rights statement. 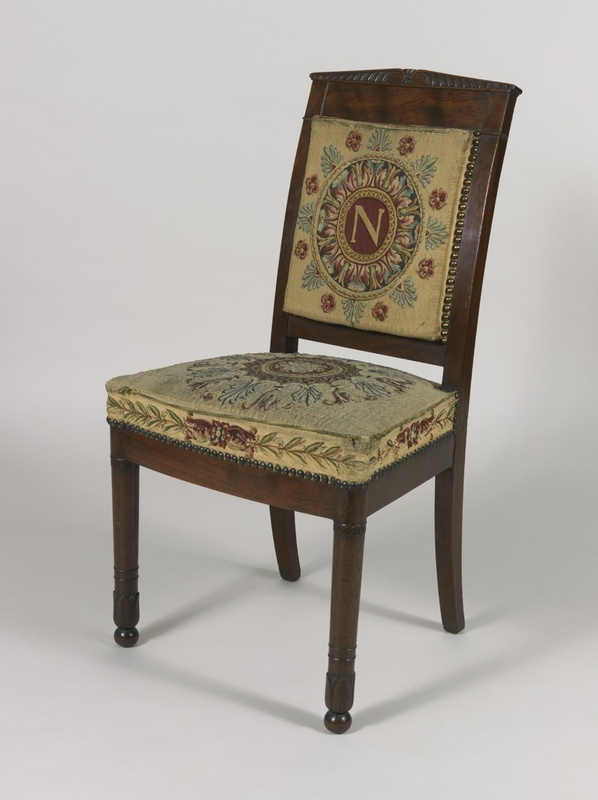 See more objects with the tag furniture, seating, medallions, chairs, curved, monogram, needlework, wood, embroidery. This is a Side chair. 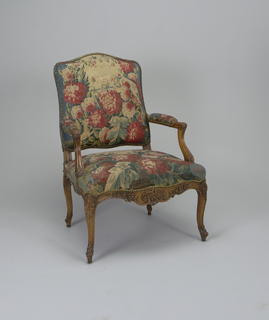 It is dated early 19th century and we acquired it in 1931. 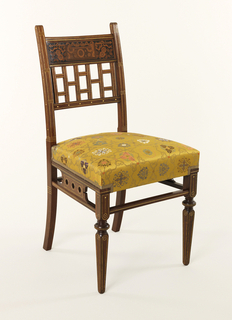 Its medium is carved and joined mahogany-veneered wood, tapestry (seat, back). It is a part of the Product Design and Decorative Arts department. 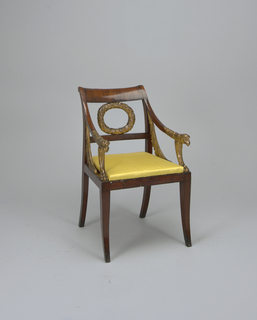 This chair represents the type of dining chair used at Malmaison and other residences where Napoleon ate. 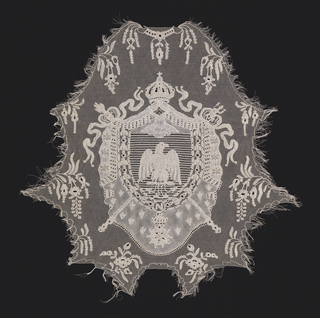 The needlework is original and the “N”, which resembles other known examples, could be associated with Napoleon. 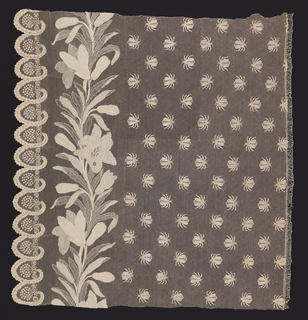 This object was previously on display as a part of the exhibitions	Tablescapes: Designs for Dining and Hewitt Sisters Collect.